§B in memory of Ketill, their father, May Christ h[e]lp h[i]s soul. Point at the photo to see the §B-side. 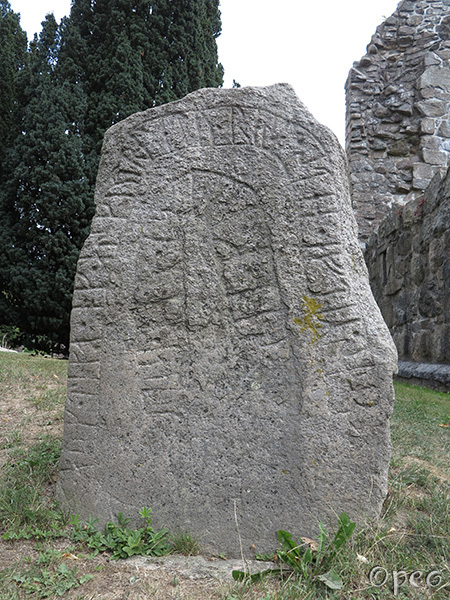 Barni and Tófi and Ásgautr had (the) stone raised in memory of Sibbi, their brother. May Christ [h]elp (his) soul. 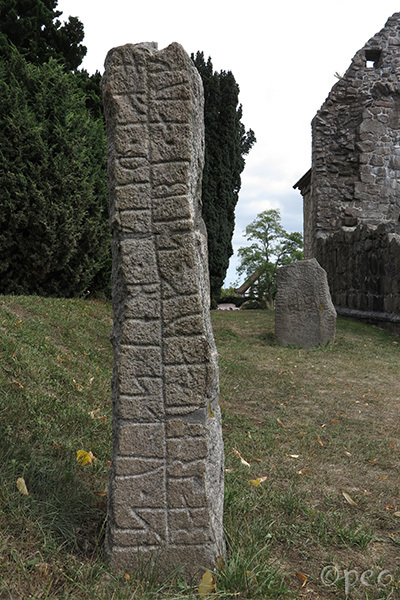 The rune stones are standing on Øster Marie churchyard together with the next ones.